New Canadians will soon promise to honour treaties with Indigenous peoples as part of their oath of citizenship. The mandate letter for new Immigration Minister Ahmed Hussen lists making the change to the swearing-in ceremony as one of his key priorities. New Canadians will soon promise to honour treaties with Indigenous peoples as part of their oath of citizenship. The mandate letter for new Immigration Minister Ahmed Hussen lists making the change to the swearing-in ceremony as one of his key priorities, along with enhancing refugee resettlement services and cutting wait times for application processing. According to the mandate letter, the proposed change is to reflect the Truth and Reconciliation Commission's calls to action. That reads: "We call upon the government of Canada to replace the Oath of Citizenship with the following: I swear (or affirm) that I will be faithful and bear true allegiance to Her Majesty Queen Elizabeth II, Queen of Canada, her heirs and successors, and that I will faithfully observe the laws of Canada, including treaties with Indigenous peoples, and fulfil my duties as a Canadian citizen." The current oath does not include the words "including treaties with Indigenous peoples." The call for action was among 94 recommendations from the Truth and Reconciliation Commission in December 2015. Another recommendation called on the federal government, in collaboration with national Indigenous organizations, to revise the information kit for newcomers to Canada and the citizenship test to "reflect a more inclusive history of the diverse Aboriginal peoples of Canada." That would include information about the treaties and the history of residential schools, according to the document. Immigration and Indigenous affairs officials are consulting with members of the Indigenous community to ‎develop wording for the oath that meets the TRC recommendations. "I think that we have an obligation to always look at things through the lens of recognizing and honouring the Indigenous community in Canada," Hussen said Thursday. "And our citizenship process, our citizenship programming, will definitely aim to do that." 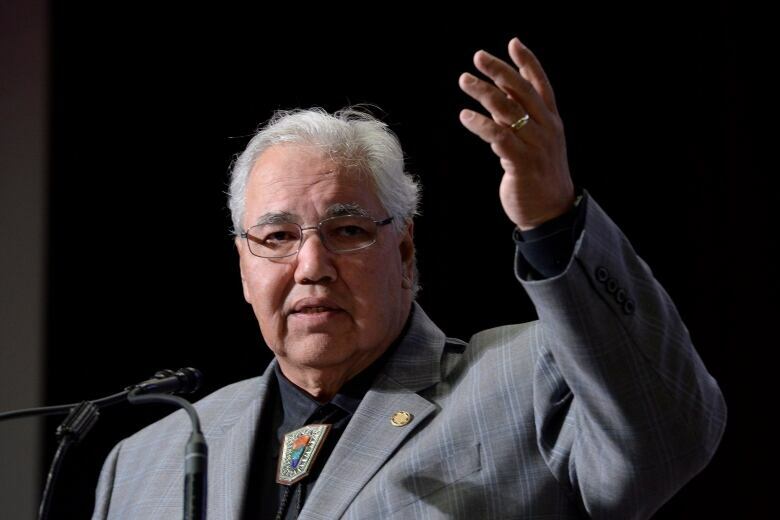 Independent Senator Murray Sinclair, who served as TRC chair, said the final wording will likely require some adjustment, but welcomed the move to include Aboriginal rights in the citizenship oath as a way to educate immigrants about the history of Indigenous people in the country. He said it is critical for newcomers to be taught about the legacy of the past. "It's not just about the wording of an oath. It's about ensuring that those who are coming to live in this country permanently in the future are also well-informed, so when they do take the oath, it has more meaning for them," he told CBC News. NDP Indigenous affairs critic Romeo Saganash agrees there must be proper training and tools to help newcomers understand the weight of their words. "It's highly symbolic but highly important," he said. Saganash said it's equally important for new MPs to make a similar oath to Indigenous peoples when they are sworn in to office. Tom McMahon, who served as general legal counsel to the TRC, said the government should take the opportunity to reword the entire oath. He said one that honours indigenous people but retains a mandatory allegiance to the Queen is incongruent with the "colonialist" past and today's Charter rights. "I think it's out of step with the TRC's own call to action to renounce the Doctrine of Discovery," he said in reference to a group of 15th century decrees that were the basis of European explorers' claims to Aboriginal land. The TRC report calls for a repudiation of the concept of European sovereignty over Indigenous lands and a reaffirmation of a nation-to-nation relationship between the Crown and Indigenous peoples. This past December, Prime Minister Justin Trudeau announced the creation of an independent national council to help implement the recommendations. At the time, Trudeau said his government has already taken action on most of the recommendations that fall under federal jurisdiction, including improved funding for child welfare and for education and protection for language and culture. 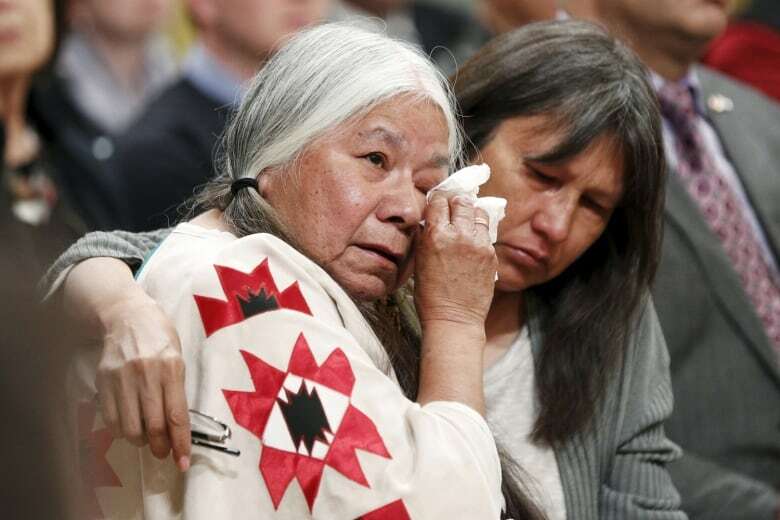 The government has also launched the inquiry into missing and murdered Indigenous women and girls, one of the commission's key recommendations. 2017 a 'year of truth and reconciliation' in Sioux Lookout, Ont. 'No ban on stolen land,' say Indigenous activists in U.S.